If you are ready to change the look of your living room, den or bedroom, then it's time to throw in a couple of new rugs and cushions. Primark home rugs are available for purchase at great prices you can't beat. On top of that, they are fashionable and trendy. Whether you are looking to just add a great accent in your living space or thinking of redoing the entire room, putting on something new such as a home rug can alter the way a room feels and looks like. Make a living room feel cosy and comfortable with rugs and pillows. 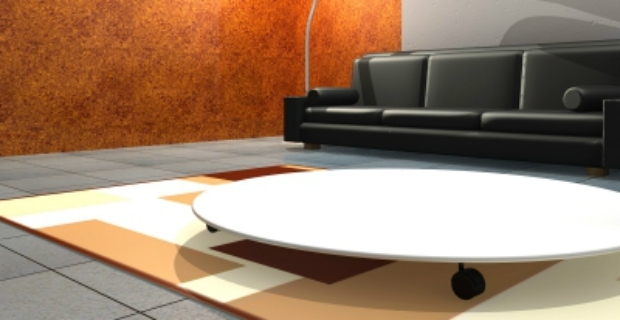 Rugs are also practical because you can improve the insulation of cold and bare floors. If you love walking on your floor without slippers on, then you can do so comfortably with nothing but fuzzy socks on your feet inside the house. This is why if you have been doing your shopping already at Primark, then you can even dress up your home with accents and accessories from the store's collection. Primark home rugs are available in different sizes and styles. But, the thing that does not change is the price. They are conveniently priced, well within the reach of the consumer. To spice up the look, you can also consider throws, fleeces and cushions. Dig the 'Amour' dragonfly cushions. Priced at £4 each, this one is a steal and can decorate your boudoir or sitting room in style without the pricey tags. Trendy fleeces and throw pillows are priced at £6 each. Get your Primark home rugs at a store nearest to your location. Sometimes, supplies are gone fast, you might want to take note of nearby locations to avoid disappointment. Or make that call before popping to the store to avoid wasting trips. It is also possible to get your merchandise online.